Mobexx is breaking new ground in rugged mobile computing in hazardous environments with its innovative ATEX certified line of Getac tablet and laptop PCs. This important rating for equipment used in explosive atmospheres extends the possibilities for using these innovative Zone 2 computers where non-compliant electronic devices could spark an explosion. This puts the Mobexx Getac range ahead of the competition. Companies engaged in a wide range of demanding environments will use these military-grade tablets and laptops to boost productivity wherever explosive gases and chemical vapours traditionally require workers to perform their jobs using paper-based systems. 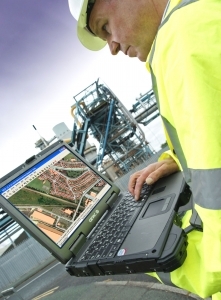 This new development extends the possibility for field-based engineers, inspectors and surveyors working on oil and gas platforms and pipelines, refineries, chemical processing plants as well as those working in the utilities industries, to cut their paperwork and boost the accuracy of their data collection and job recording. To provide enhanced automation, Mobexx also provides an extensive line of rugged accessories for use with the tablets and laptops to make it easy to integrate RFID tag readers, bar code scanners, magnetic stripe readers and digital imagers/cameras. 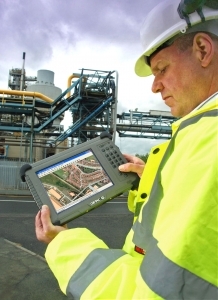 Beginning with the most compact of the ATEX certified computers, the Getac E100 is the lightest available rugged tablet PC. Like the rest of this rugged range, the E100 boasts the IP54 rating for its chassis design, which keeps dust and moisture out of the unit. The computer can be configured for low temperature operation down to minus 20 degrees as well as the option of a sunlight readable display. The versatile Getac V100 is a combination mobile unit that gives a best of both worlds computing experience as it can be used as both a laptop and a tablet PC. Customers can choose from two screen sizes – 10 or 12 inch - with touch panel. Utilising a low-power Intel Core 2 Duo processor, the Getac V100 boasts a quiet fan-less design that provides computing power for sophisticated software applications. For extreme computing power, Mobexx offers the Getac M230N, which exceeds the standards set by the military and industry. The Getac M230N features a shock-mounted, removable hard disk drive with a Media Bay 2nd battery pack. It features a 14.1 inch TFT XGA display that provides vibrant images whether indoors or outdoors. For direct sunlight applications, an optional Hi-Bright display and anti-reflective coating is available. A touch screen option is also available.